The Nile never flows uphill, or in other words, ascend to a location farther from sea level anywhere in the Nile basin. 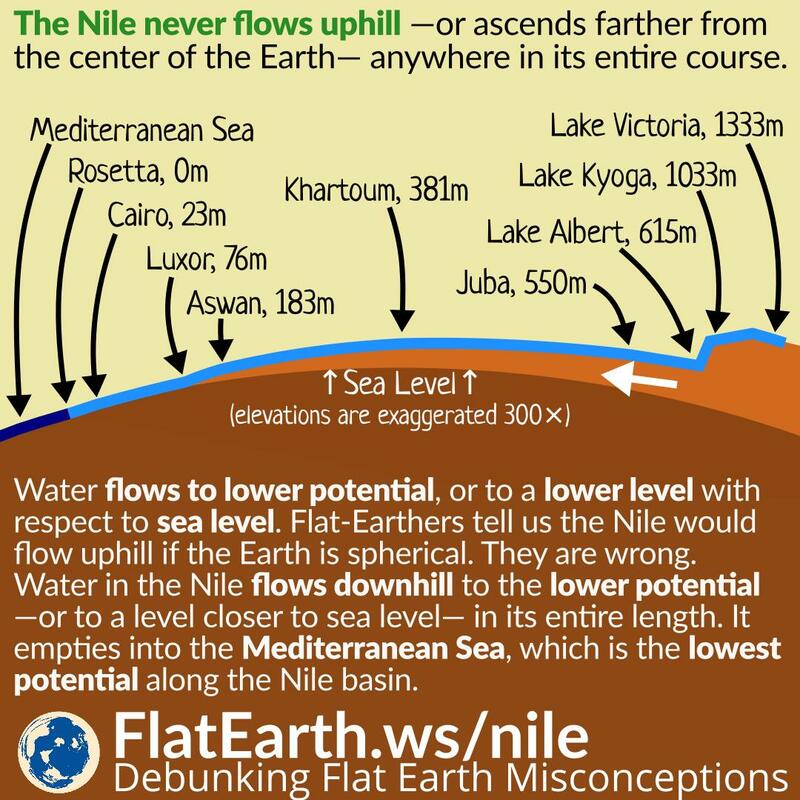 Flat-Earthers often claim that if the Earth is spherical, then the Nile will have to flow uphill to overcome the curvature of the Earth. They are wrong. Water flows to a lower potential, or in other words to a lower level with respect to sea level. The Nile flows downhill to a level closer to sea level in its entire course. It empties to the Atlantic Ocean, which is the lowest potential along the Nile basin. Flat-Earthers think if the water in a small container forms a flat surface, then it must always be flat no matter how wide the surface is. They are wrong. 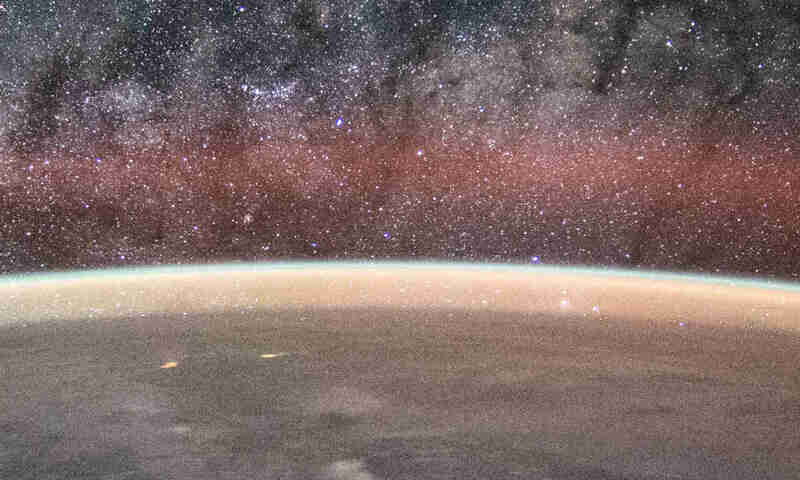 The surface of water forms a spherical surface that has roughly the same distance to Earth’s center of gravity. It appears flat only because the curvature is minuscule in such small container. Just because there’s the curvature of the Earth doesn’t mean the water has to ‘climb’. The potential on the ‘top’ of the bulge is not necessarily higher than other locations on the river. The only thing that determines the potential is the elevation from sea level.